Unlocking your ZTE HSDPA modem.Its easy. 4. 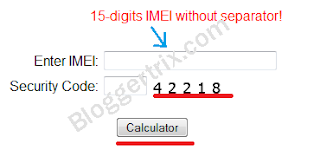 Now click calculator button. 5. Now you can see your Unlock code. like image below. 6. Happy Unlocking ZTE HSDPA modems. Sir in my Country here in Philippine ZTE MF 100 is asking for 16 Digit Code..
sir it asks for 16 digit code not 12.
where to put d unlocking code??? what program to use? Where to put the unlocking code and what programe to use? can this be done with zte mf600? this software only work for dongle modem. right? is there unlocker for ZTE MF600? really need it. how to unlock ZTE MG880 usb cdma modem..??? zte fm100 needs 16 unlock code can any one help at 12 unlock code the okay button is just frozen (inactive) but active at 16 digits. Plese may someone help me am in Kenya. Could you able to unlock your modem MF 100.. I have a modem of MF 102.
where you have to place it to unlock the modem. You people have given only the half key, why dont you give the full key, Like whatb to with this unlock code and how to really open a modem? Any body please help us to use my fun book with any modem. Use some other different network sim and try, if its asking a unlock code. you can generate it. Hi, I will be very grateful if you can solve this for me. My modem looks for a 16digit code. 711146840522 was the one given For zte mf30 model. Adding 0000 at The Start doesnt work. Hello, is there's a way to unlock my TELE2 B260a Huawei wireless modem? Your Most_DC_Uclocker worked like a charm on a ZTE MF190 usb dongle.. cheers for the same..
hi, can someone please help me unlock.. my ZTE MF29A Modem.